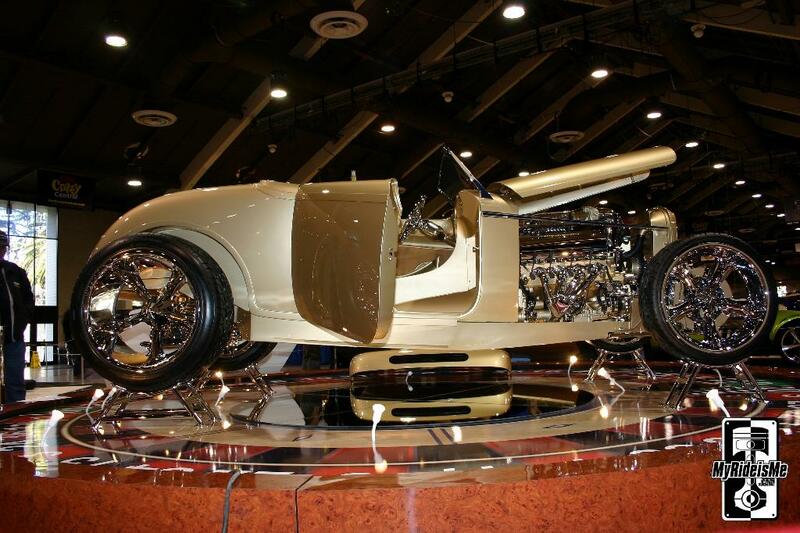 Make sure to check out the 2009 Pictures of the Grand National Roadster Show! As I’ve mentioned before, writing about another contending car, (previous blog, click here) the judges for these polished wonders have the painstaking job of finding things, “wrong” with these cars. Taste judgments are not allowed, so what else are they gonna do? What do you notice? Amazing polish work? Tires sparkling clean? Polished brake rotors…. what? If it rolled forward, how did it stop to roll backwards without scratching? Ah… who cares! Dig that grill! It looked like cut diamonds the way it caught the light. More than one Oscar nominee will consider wearing this grill with their Versace gown. 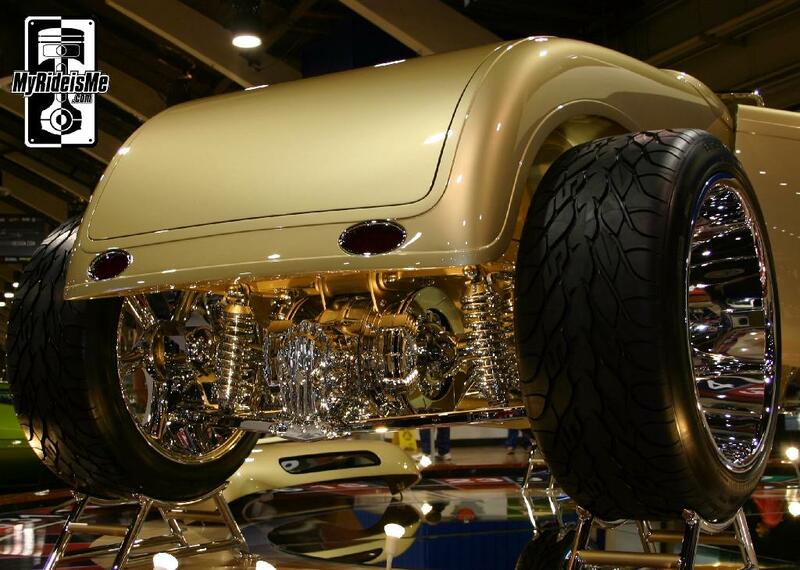 The builder of this car, Scott’s Hot Rods and Customs also from Cali pulled out all stops and left nothing unpolished. Looking at this car from any angle, there wasn’t one piece on this car that didn’t shine. Check out the back. 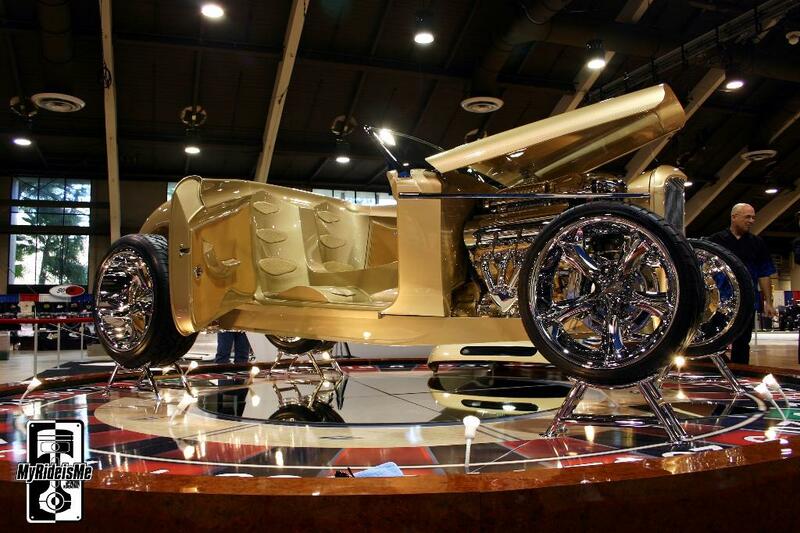 I should also mention the display this car sat on was far and away the best of show, end of discussion. I wanted the winner to be slowly turning, just up in the air for me to gaze at in classic indoor show style. It did, but the roulette wheel theme went way over the top. Very cool. I’m wondering two things though… what’s roulette got to do with a car named, “Undisputed” (shouldn’t it be a boxing ring? – copyright pending on that one!) and did anyone notice if the roulette ball had landed in #32? So there you have it, like it or not. I did pick this car to win although I’m not sure it was my favorite, that’s a discussion for another blog. There’s not doubt though, the combo of the never-ending shine and display works for me. What do you think happens to these cars after they’ve finished the show circuit? I’ll wrap up by saying that this was the best car show I’ve ever attended. 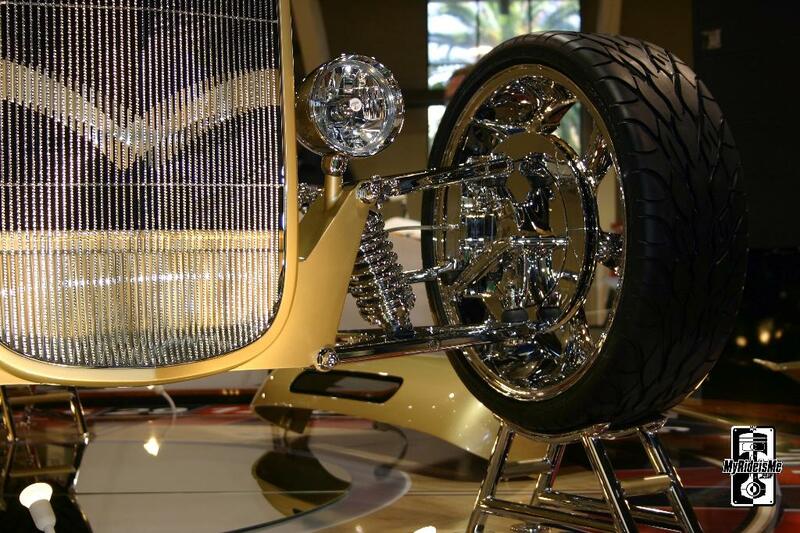 The amazing builds with new measures for attention to detail, the historic customs from Barris and the cools cars and people made this show one I’ll never miss again. There are several more stories coming from this show. Good times. Feel free to comment on the AMBR, the show, this blog, whatever! Did you dig the show? Which cars did you like? (I probably got a picture of it and they’re on the way to the MyRideisMe.com picture gallery. Stay tuned. This is one really hot car! Who ever took this shot, outstanding. The color, clarity and cut are just like a diamond!!! I’m a good friend of Barry Bjornstad and we talk about you all the time, and what an artist you are and your work shows that. I can hardly wait to see Barry’s 56 he tells me about it all the time. My uncle Jay Brackett helped Bill Neikamp build the first 1950 Okland car show winner which the car is owned by the Hot Rod Magazine now and the car is at the Hot Rod Museium on Wilshire Blvd in LA. The other car my uncle Jay helped Bill Neikamp build is the first roadster to run 200 at Bonneville in 1955, the driver was George Bentley and our car was the car that put George into the famous 200 MPH club in 1955. As soon as I get your e-mail address I’ll send you a few photos of the Bonneville car that was taken by my family at Bonneville in 1955. Does anyone know what type of rims are on the “Undisputed” car and the name brand????? ?